If you’re searching for a dependable fence company in Alvarado, TX and the nearby areas, you have found the one! We here at Ware Fencing are professionals in all things fencing, such as fence repair, fence installation, or fence replacement. Our services are meant to help add to the curb appeal as well as the property value of your home or business, while simultaneously providing you with a functional addition. We are fence experts, and no matter what your goal is with your fence, our team can help you achieve it. Contact our team of fence experts now at 817-948-4503 to discover more about our services, as well as your fencing options. As a professional as well as local fence company in the Alvarado area, we have plenty of expertise serving homes as well as businesses in this community. We also offer professional farm and ranch fence services, carrying dependable fence answers for cattle, horses, and more. If you are searching for any type of home fence solution, our experts will carry it! Our cedar fencing is among our most common, as a traditional suburban aesthetic, and our aluminum fencing is a perfect option if you’re searching for an affordable yet functional safety fence. 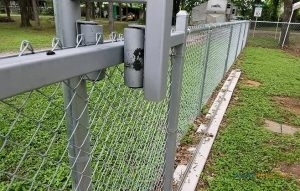 If you are searching for additional security for your home, we do provide special security fencing, in addition to the traditionally secure iron fencing. You can additionally contact us for custom fence designs, so no matter what kind of fencing you require, you can find it at Ware Fencing. 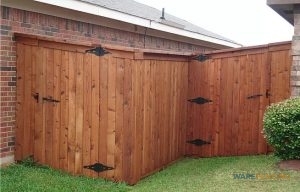 If you require a reliable fence company in Alvarado, TX, you can count on us. We only utilize high quality materials, and customer service is our #1 objective. Our crew works diligently to ensure you get the exact fence you are searching for. If you would like to request your quote, or set up an appointment, you can reach the team at 817-948-4503! When you require a fence company that will not let you down, we’re the experts for the job.